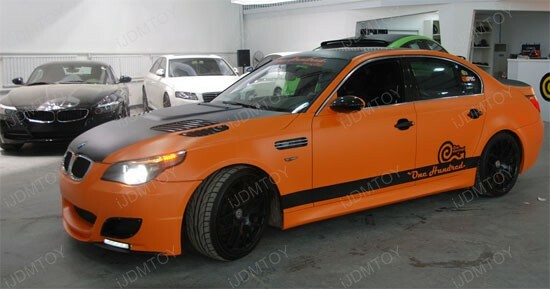 Size: 7.00" x 1.75" x 1.00"
Q: Is this LED Daytime Running Lights street legal? A: This COB LED daytime running lights is 100% street legal. Q: What's the difference between COB and regular LED? A: COB means chips on board LED. With this new design, multi LED emitters are packaged together as one lighting module and when it lights up, it will look like one single lighting panel and you won't notice each individual LED emitters at all. This new design is very similar to the newer 2013+ Audi A4/A5 or the 2014+ Mercedes E-class and S-class LED daytime running lights which looks more uniform and brighter. Q: Will this LED Daytime Running Lights fit on my vehicle? 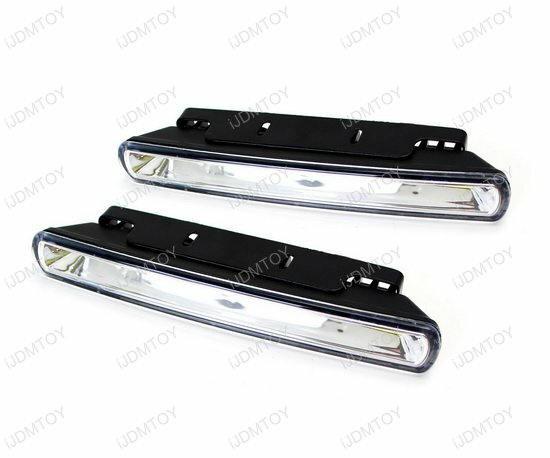 A: This kind of LED daytime running lamps are universal fit, meaning as long as your vehicle has enough space (length-wise and depth-wise), you will be able to install this. The dimensions of this LED DRL lamp are provided in the description so please double check that with the application prior to purchasing. 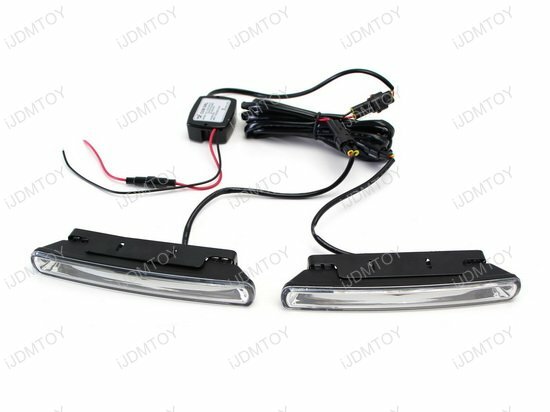 Q: How do I hook up this LED daytime running lights to power? A: There are two wires and simply tap the White (+) and Black (-) wires of the daytime running lights to either parking lights or ACC switched 12V on fuse box direct. We also have this general installation YouTube video, please take a look. 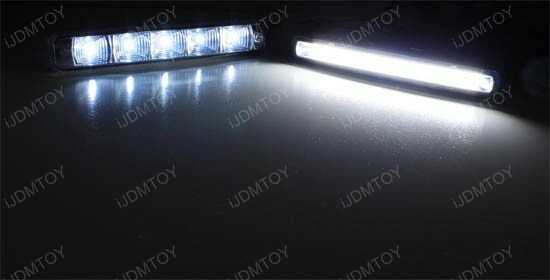 Q: If I install these LED daytime running lights on my European car, would they cause any error messages on dashboard? 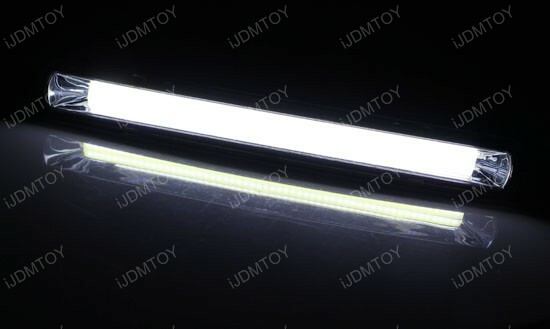 Q: Which DRL lamp is the left or right side? A: Both pieces are identical, so there is no left or right difference. 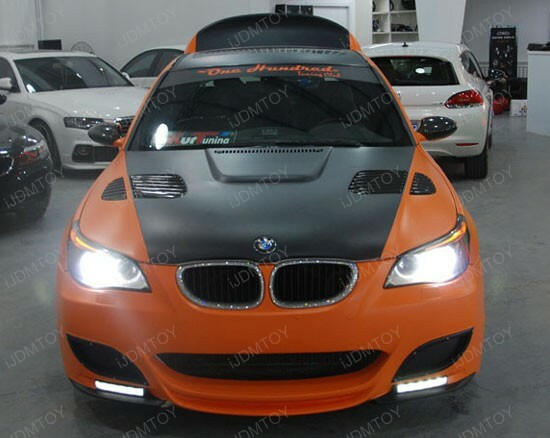 This page features the all new 56-emitter COB high power LED Daytime Running Lights. 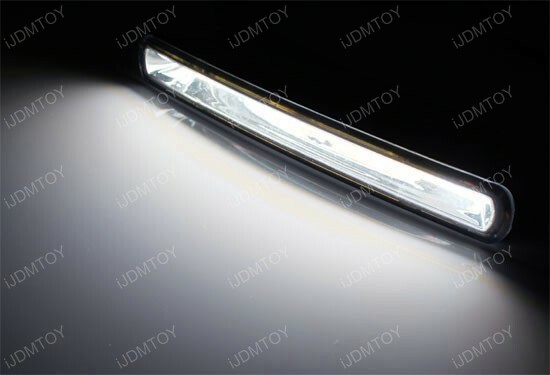 This unique new design is very similar to the new 2013+ Audi A4/A5 LED daytime running lights that when lighting up, you won't see individual LED at all. This all new COB high power LED daytime running lamp is powered by 56 pieces COB LED emitters inside. 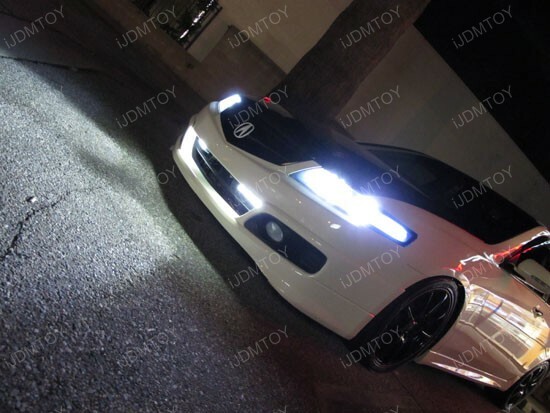 These LED daytime running lights are completely universal so they do not have any specific vehicle application. Please make sure that you measure the dimensions of your application prior to purchasing to ensure they fit. 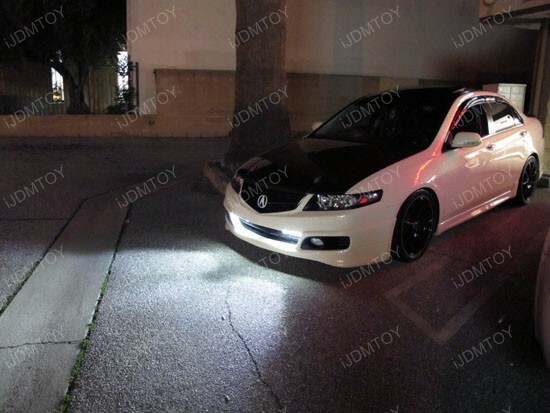 This LED daytime running light kit is very easy to install because all of the wiring is complete with easy to use connectors. It only took me 20 minutes to install and they look and work great. The kit is complete with installation parts. The only part that I added was two wire connectors..
Bought for my Audi A3. Really love this new design that you won't see the individual LED chips. The output is amazon, much brighter than the other LED DRL I bought previously.